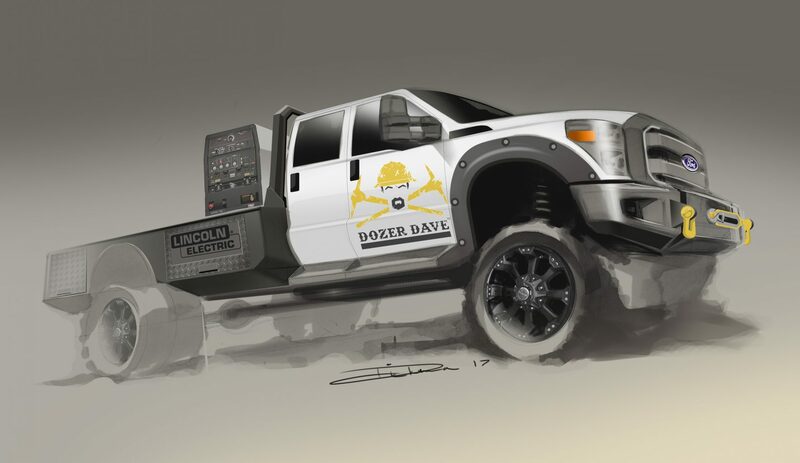 Last week Dave Turin’s team from the TV show Gold Rush contacted me to do a concept for his new extreme service truck. I had a great time doing it. The rendering was first sketched by hand, I had a few reference images on the computer to look at, but I didn’t see many F-550’s that were lifted this high, and certainly none at this angle. So it started freehand, but once the main lines were in and the values were blocked in with marker, I scanned it and finished it in Photoshop. Client : "Dozer Dave Productions"